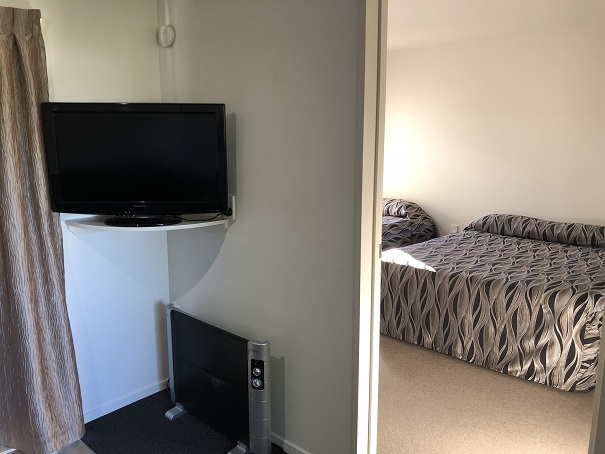 At Riverlands Holiday Park, we have several different types of accommodation. Our 2 bedroom motels are well designed and furnished. They Sleep up to 8 people. Bedroom One: One Queen Bed and one single bed. Bedroom two: One Double bed with two single beds. Bathroom: Fully tiled wet area, with shower, toilet & vanity. Lounge, Kitchen & Dining: Open plan with double pull out bed. 6 seater Dining table, Flat screen TV, Fridge, Microwave, Hot plates, Kettle, Toaster & a wide range of crockery and cutlery. All linen and towels are provided. There are flat grassy sites throughout the park, so bring your own motorhome, caravan or pitch up a tent. They are all just a short walk to our amenity blocks. 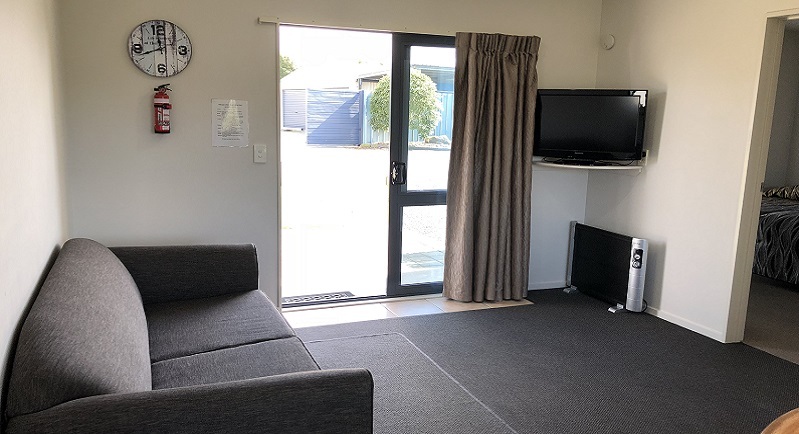 Communal camping areas such as the lounge, BBQ area and kitchens have a friendly, sociable atmosphere, and are a great place to meet like-minded travellers. Please note that while kitchens feature ovens, cook tops, microwaves and fridge you will still need to bring your own cookery equipment such as pots, pans & cutlery. Riverlands Holiday Park offers all the facilities you need for a great holiday, whether you're in a tent, small campervan or large motorhome. 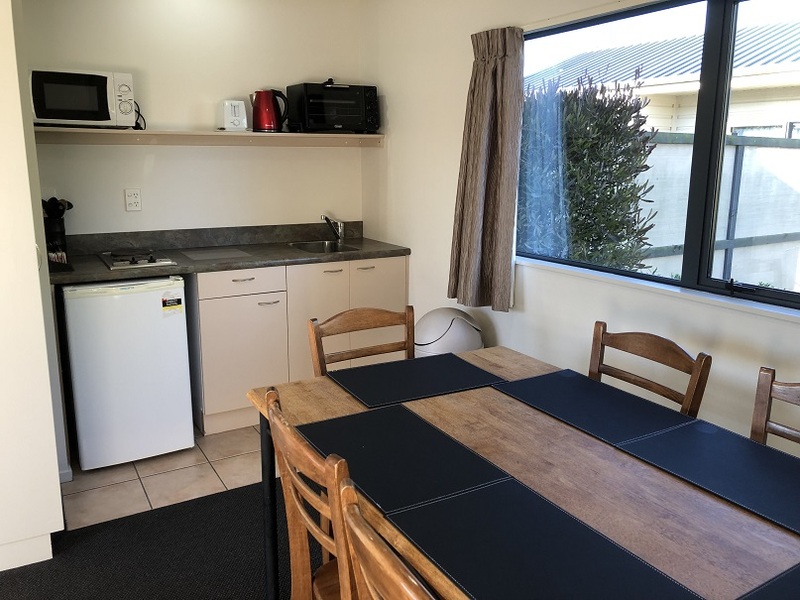 We have two kitchen areas which are always popular gathering points in the evenings when guests come to cook and exchange stories of their travel adventures in New Zealand. With the local town of Kaiapoi only being a five minute drive or a 30 minute walk away, it has a large choice of bars and restaurants, supermarkets and petrol station. Check-in is at our reception, which you will see on the right as you come into our drive way off Doubledays Road. If you are arriving outside reception hours, please let us know and we will make alternative arrangements for a hassle-free check-in.